The works of René Magritte (1898 – 1967) and the ideas that underlie them are a special case both in the history of modern art and in surrealist painting. In the search for the "mystery" in which things and organisms are enveloped, Magritte created pictures which, taking everyday reality as their starting point, were to follow a different logic from that to which we are accustomed. Magritte depicts the world of reality in such unsecretive superficiality that the beholder of his pictures is forced to reflect that the mystery of it is not evoked by some sentimental transfiguration, but rather by the logic of his thoughts and associations. Magritte thus invented an inimitable pictorial language which he uses to question our usual comprehension of pictures. 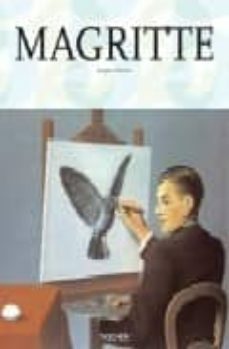 In this book, Jacques Meuris traces Magritte`s artistic development from its beginnings until the end of his life, and in doing so underlines the originality of this great Belgian Surrealist.